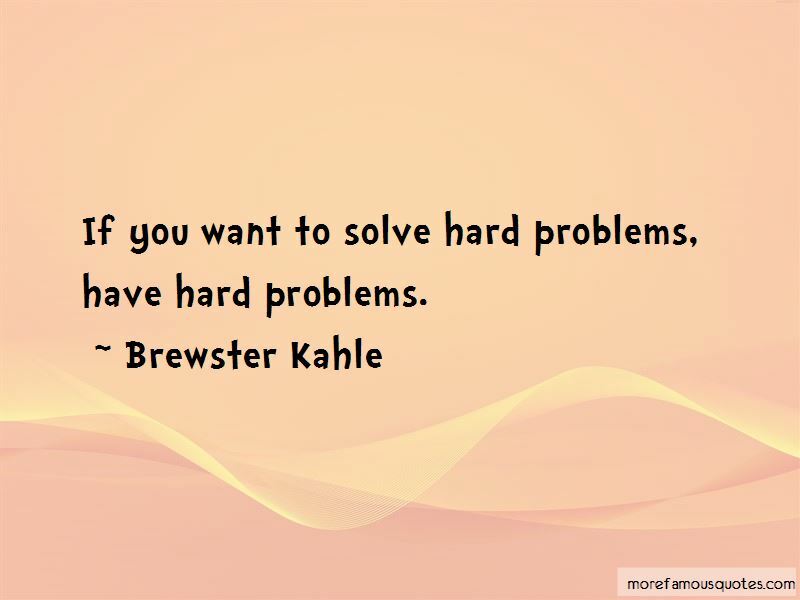 Enjoy the top 8 famous quotes, sayings and quotations by Brewster Kahle. 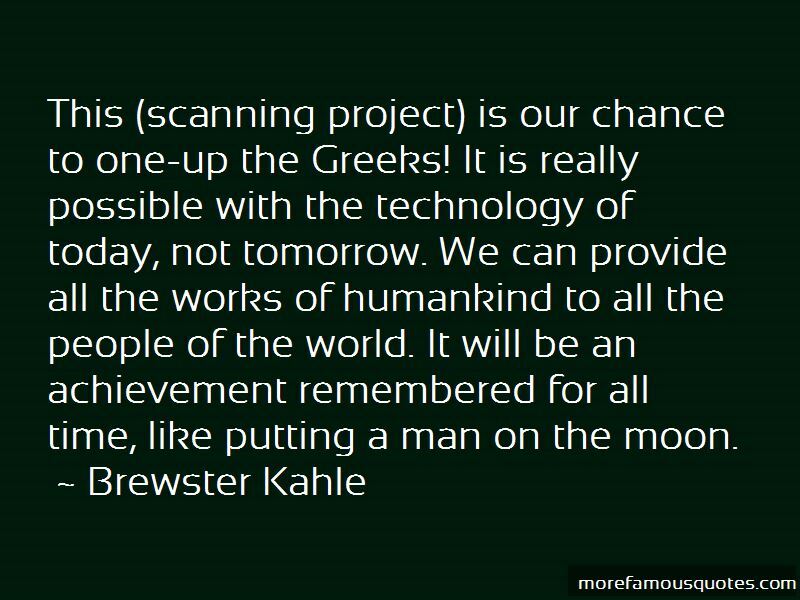 This (scanning project) is our chance to one-up the Greeks! It is really possible with the technology of today, not tomorrow. We can provide all the works of humankind to all the people of the world. It will be an achievement remembered for all time, like putting a man on the moon. 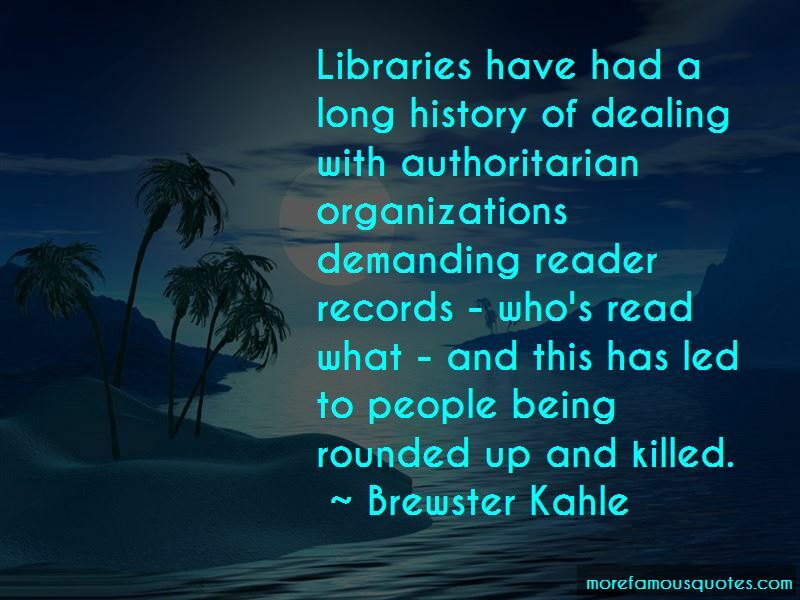 Want to see more pictures of Brewster Kahle quotes? 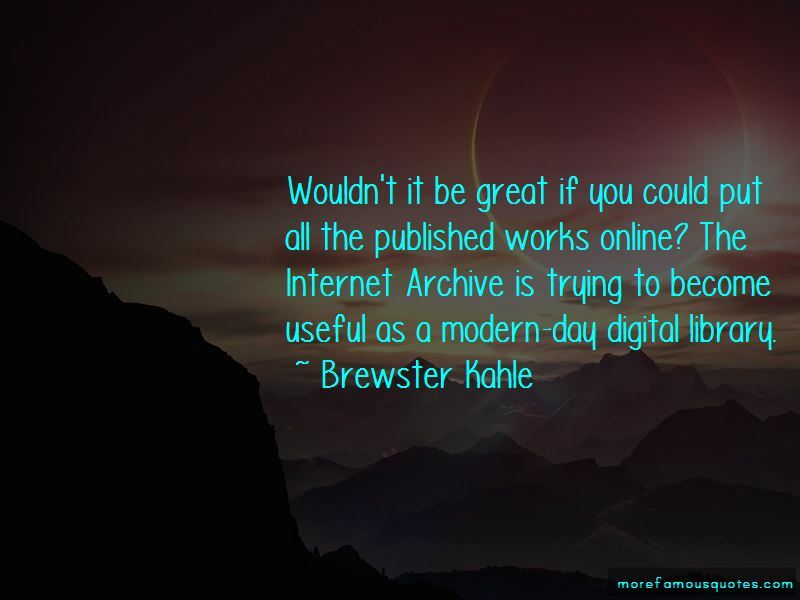 Click on image of Brewster Kahle quotes to view full size.